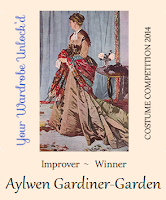 Aylwen is a dress & natural fibre historian, seamstress, hatter, historic dancer and arts/community events organiser. She is currently completing a Bachelor of Heritage, Museums & Conservation at the University of Canberra. As a costumier she has studied at home and abroad for many years. She has made most of the many different costumes worn for performance by the Earthly Delights musicians and dancers and assisted many others in our academy's scene in the making of theirs. She has also taken commissions from far and wide for the making of dress items of all eras. Aylwen is currently researching and constructing historic hats and bonnets. Examples of her work can be seen in her Instagram account and hat orders can be placed at http://www.edhda.org If you wish to order a custom hat please do email Aylwen to start discussions and completion dates. Aylwen is currently working on a book that shows a closer examination of the construction of Trims, Frills and Furbelows from 1730s-1830s. The book will be covering all manner of trims on men's coats, waistcoats, hats and accessories and women's gowns, caracos, bonnets, shoes, purses, reticules, stomachers, and accessories. Aylwen has been studying hat making and millinery for some years now and is taking custom orders. See her online hat catalog and she is happy to explore new styles in your size, simply email her a picture and she will discuss it with you. In 2019 Aylwen is continuing her studies at the University of Canberra and professional development in millinery and hat making. Completion of book "Trims, Frills and Furbelows from 1730s-1830s"
In 2018 Aylwen pursued further studies in natural dyes at the Australian National University and Visual Arts at the University of Cambridge, UK. "Wearing Indigo", Aylwen Gardiner-Garden, 2018. In 2017 Aylwen travelled overseas to conduct historical clothing, trim and hat research at Hereford Museum, Berrington Hall, Chertsey Museum and Victoria & Albert Museum, attended Millinery classes at the London College of Fashion, completed a Certificate in Crewelwork & classes in gold work and ribbon embroidery at the Royal School of Needlework, studied 17th Century men's clothing and sewing techniques at the School of Historical Dress, Tambour Embroidery classes at Hand & Lock Studios in London, textile conservation classes at the University of Glasgow and Textile Archaeology at the Saxo Institute at the University of Copenhagen. Pre-orders for the book "Trims, Frills & Furbelows" are still open. 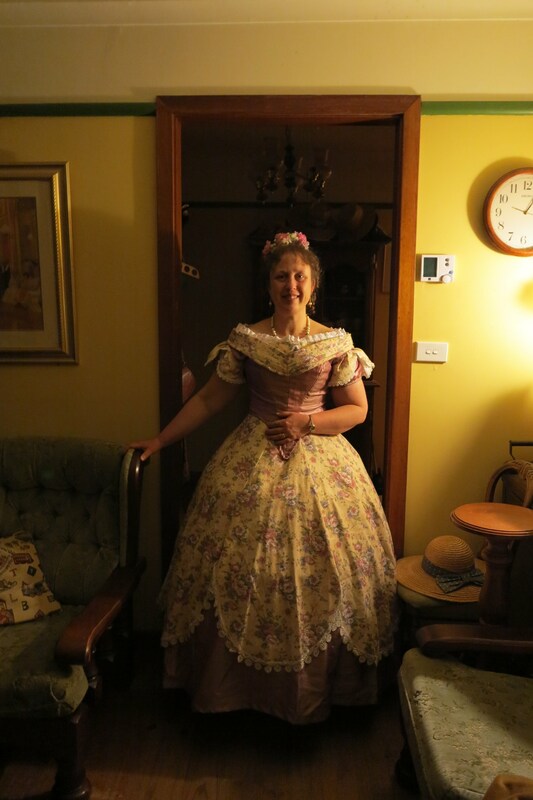 In September 2013 she led a historic 1800s clothing tour of England and curated a Regency costume exhibition at Jane Austen Festival Australia. In 2014 she presented a series of talks about historic clothing from the last 500 years at the Dickson Library in the ACT. In 2015 she taught historic sewing workshops in Canada and the United States and in 2016 was invited to teach historic sewing workshops in Germany. 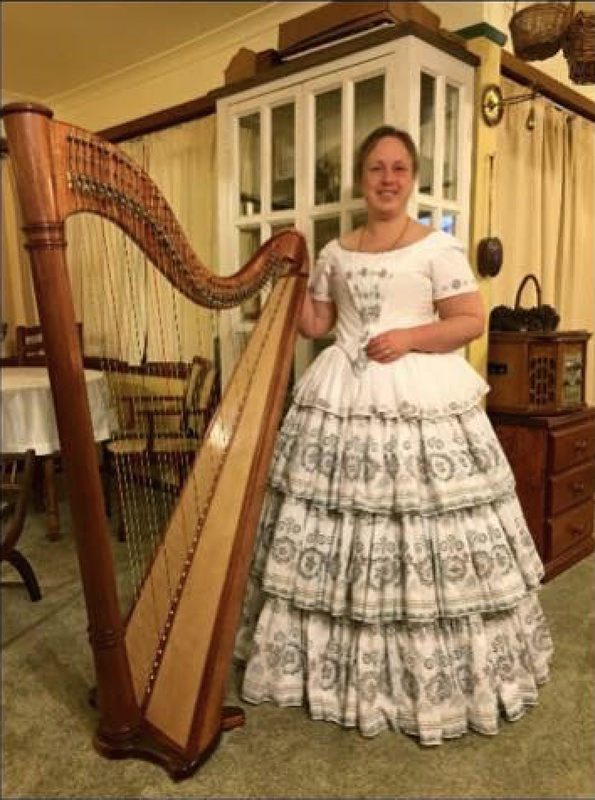 She is presently studying a Bachelor of Heritage, Museums and Conservation (specialising in textile conservation) at the University of Canberra with a book on "Trims, Frills and Furbelows from 1730-1830" to be published in early 2018 after conducting research in museums in the UK in 2017.
contact her if you wish her to make something for you or see if there are any patterns you can purchase. Aylwen is also happy to discuss her special historical costume presentations suitable for museums, schools and heritage sites. As a historic dancer, she has been part of all of Earthly Delights' dance teaching series, ball series and dance display groups. She has also been for many years the display partner and teaching assistant of her husband John Gardiner-Garden, including most recently on their 2016 5-week tour of Germany, Hungary, Czech Republic, Austria and France; 2015 6-week dance tour of US & Canada; 2014 4-week dance tour of Italy and Germany; 2013 3-week dance tour of England; 2012 3-week dance tour of Italy,Germany & Switzerland; and their 2011 8-week 20-engagement around the world dance tour. 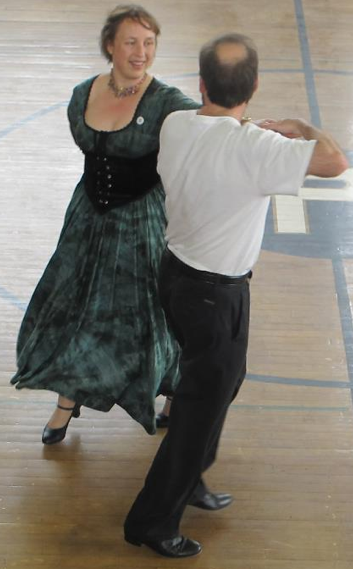 As a tour organiser, Aylwen has organised 2 thirty-person performing tours to Queensland, an 8-week tour across the US, UK and Denmark, a 3-week tour to Switzerland, Italy and Germany, a 3-week 12-person historic costume tour of England, a historic costume & dance tour to Italy and Germany and many other out of town dance tours. 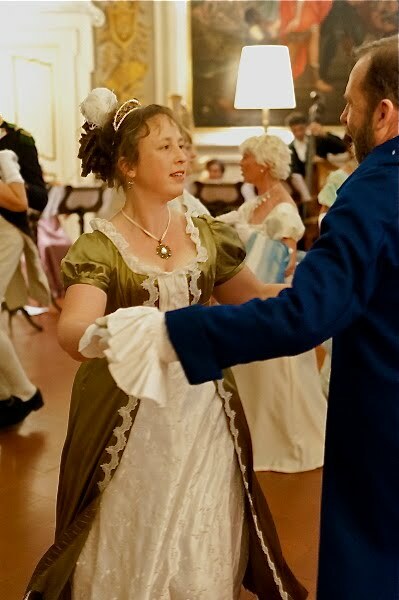 As an Events Manager, she has organised nearly 1,000 classes, dances, balls and special events over the 16 years she's been Earthly Delights administrative coordinator, Director of the annual Jane Austen Festival Australia since 2008, and organised all the events on the above-mentioned tours. See other pages for a glimpse of past and upcoming series and events she's been involved with organising. Aylwen is happy to discuss her special historical costume presentations suitable for museums, schools and heritage sites. If you have any questions or enquiries please feel free to contact Aylwen by email.